Death has never been absent from literature, and, if anything, there has recently been an outpouring of books dealing with loss. Grief, however, is an experience of the living; giving voice to grief often means viewing death through the filter of memory, where the life lived is more important than those final months. 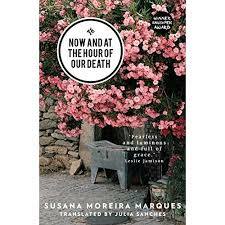 In Now and at the Hour of Our Death, Susana Moreira Marques takes a more journalistic approach to death (as befits someone who is a journalist) having spent time with a palliative care team who worked in rural Portugal during 2011 (Marques is a Portuguese journalist; the book was translated by Julia Sanches). 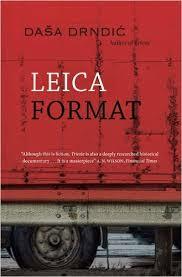 The resultant book is more than reportage, however, despite passages which reproduce verbatim the words of the dying. Over its short length it grapples with a number of approaches, as if admitting than no one response can do the subject justice. This section has a cumulative power that reminded me of David Markson’s later works. What’s lacking, of course, is that deeper sense of the individual experience which Marques provides in the second section, Portraits. Each portrait is painted in two parts: firstly, in Marque’s words, and then secondly, in the person’s own, transcribed from Marques’ interviews. This works better than the usual journalistic technique of subsuming quotations into the article, thereby making the writer’s superiority (and control) clear. This way, Marques provides a context but then allows her subject to speak for him or herself (after all, one of the main messages of the book is, “you only know what it’s like when it happens to you,” as Paula, the first portrait, tells us). The final story is from the point of view of two daughters whose father is dying. If I had a criticism of the book it would be that three does not seem many, despite Marques’ attempt to show a breadth of experience. Of course, too many such stories would lessen the effect and move the reader from poignancy to boredom. Perhaps it would have been better if these, too, were excerpted among the first section – the division in two was one of the few things about the book which felt artificial. (There is a single page final section, which reads like a list of what Marques has learned). Despite that single misgiving, this is book which stares death in the face and doesn’t flinch. There is no attempt to make it meaningful, or raise it beyond the often painful, and sometimes prolonged, process it is. Marques’ journey is perhaps one we should all be prepared to take. It would be fair to say they marry without really (or even superficially) knowing each other. Stephen’s devotion to birds is notable from the first page when, after a collision with one which causes him to crash the car, he checks the bird before Tiff, and yet later she is still able to ask him, “Wait, how did you get into birds?” (The bird in question is the titular wallcreeper, which they take home with them as a handy symbol; the avian raison d’tre ‘breed and feed’ is their credo for a while). Inevitably they both soon have lovers, a relationship in Stephen’s case which sees him abandon his career for the environmental movement. In this short passage, Zink manages to convey Tiff’s physical, emotional and intellectual response by using language in an astonishing number of different ways and still manages to surprise us at the end. Tiff is ultimately a spoilt and rather ridiculous character who woos the reader with language and honesty. Her involvement with environmental charity Global Rivers Alliance is the accidental result of her relationships, just like her interest in birds. She is not untypical of the novel’s characters: even Stephen’s pharmaceutical work is on a device he hoped would benefit himself. My impression is that Zink finds them more serious than I do, but I could be wrong. 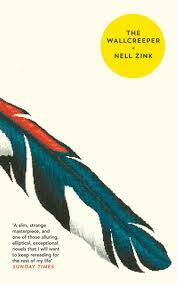 Zink is an incredible stylist and it is evident that this is a writer who has honed her skills with language over time. Yet, it also apparent that she is a writer used to a select audience. 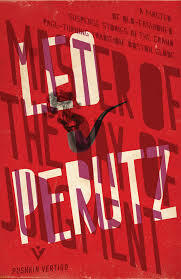 The novel’s bracing first half falters as pet preoccupations overwhelm her characterisation. However, remarkably few writers merit the intake of breath that you experience on first being plunged into her prose – with a second novel already published it will be interesting to see what she does next. You are currently browsing the 1streading's Blog blog archives for September, 2015.